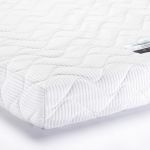 A great value, high spec double mattress, the Fairford Maxi Pocket 1200 is made with a core of high performance pocket springs for individual support. To make sure the mattress gives edge to edge support throughout the night, our springs are encased in foam and have an extra 30mm comfort layer on top for a luxurious hotel-chic feel. 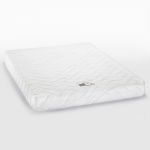 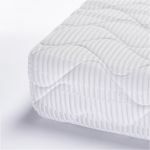 A no-turn mattress, the Maxi Pocket 1200 is also naturally anti-allergenic, so you can breathe easy as you rest. 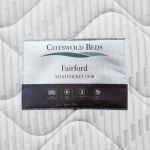 Our double mattresses are specially designed to complement our range of hardwood bed frames, so be sure to browse our full range of offerings.